One of the most popular delicious dishes from Hyderabadi cuisine, Methi chicken is a dish prepared with chicken combined with fresh Methi (fenugreek) leaves. 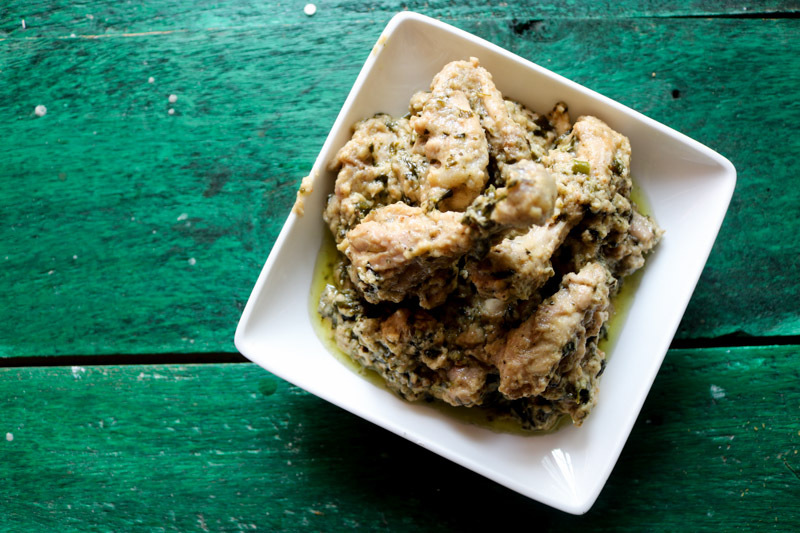 The distinct flavour of the methi gives a unique taste and enhances the flavour of the chicken. 1.Take chicken pieces in a deep bowl. 2.Add lemon juice, red chilli powder, salt and ginger garlic paste. Mix them thoroughly with bare hands. 3.Keep aside for 20 minutes to marinate. 1.Take curd in a bowl, add red chilli powder, salt, coriander powder. 3.Now in a pan of hot oil, put onion and saute till golden brown. Grind it to make a paste. 4.In the same pan, in some oil put marinated chicken and pan fry it till golden brown and a bit crisp. 5.Now put bay leaf, green cardamom, black cardamom, cinnamon in a hot il pan and saute for a while. 6.Add ginger garlic paste, saute some more and put chopped tomato, kasoori methi and the prepared curd mix. 7.Mix them well and add the onion paste. Mix thoroughly. 8.Now add the fried chicken and mix it with the gravy till the pieces are completely coated. 9.Add green chilli and water, mix well. Bring to simmer..
10.Put kasoori methi over and cover the pan to cook for a while. 11.Open the pan when the curry starts to simmer a bit and the excess water is evaporated. 12.Mix a little and serve hot.